Cherry Lane Music Publishing represents artists in all genres, and worked with Eric Miller Design on many projects from songbooks to logos. 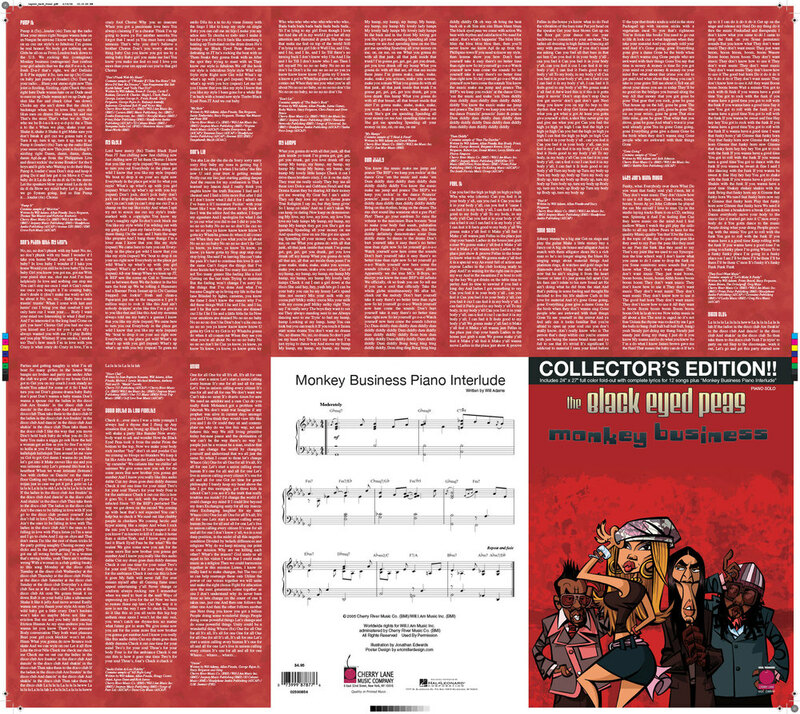 We designed this fold-out poster for the Black Eyed Peas “Monkey Business” album, featuring the album lyrics on one side and a full-size poster on the other. 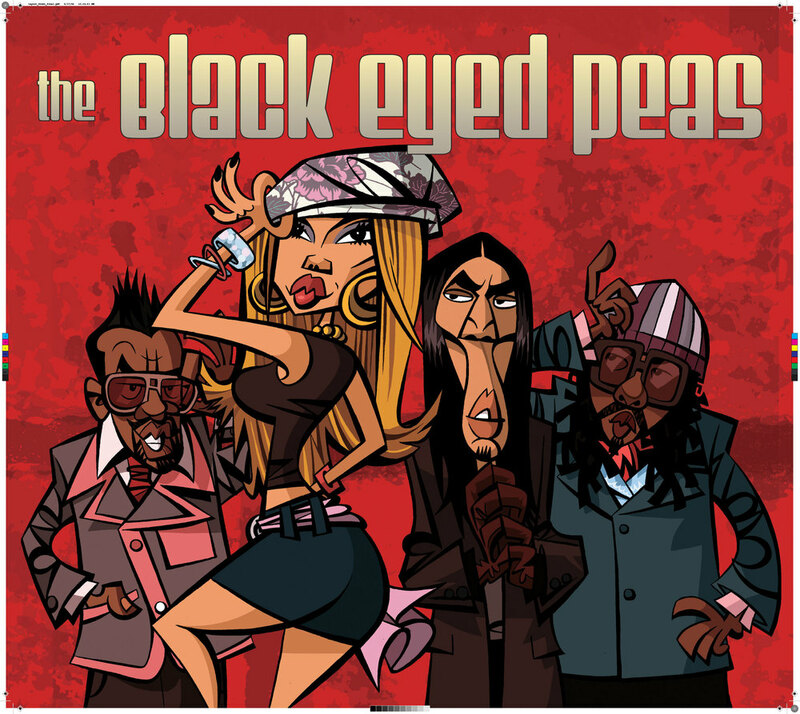 Peas illustration by Jonathan Edwards.